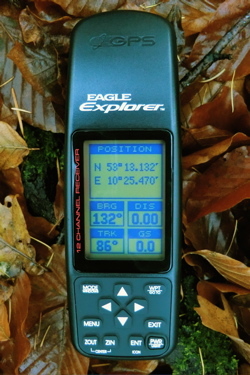 In the year 1998 I discovered that an electronic distributor sold handheld navigation equipment. 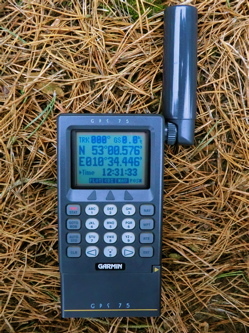 It was described as working world-wide, being satellite-powered and able of an accuracy measured in meters. I was sort of shocked! Is that possible? Did I misunderstand something? 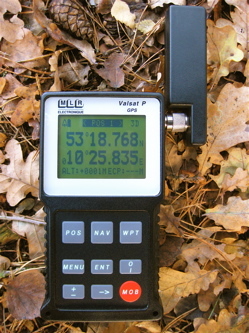 Affordable handheld world-wide precise navigation? I didn't have the need of navigating a boat and didn't plan to explore a desert, but I was very fascinated of the ability of the GPS-system. 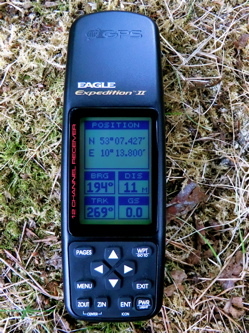 After a short time I felt the urgent need of purchasing such a navigation-tool. Although I was studying and hadn't much money I went to the next outdoor shop and asked for this futuristic technology. 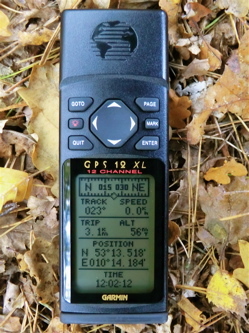 I bought a Garmin GPS 38. Eight channels, ultrasonic sealed, dry nitrogen filled, a graphic plotter, DGPS-ready, wow! 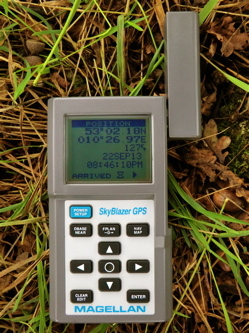 I spent much time just hiking around, saving waypoints, watching the plotter screen. 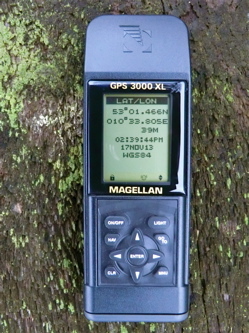 In the year 2003 I discovered geocaching and was very glad of finding a purpose for this technology. 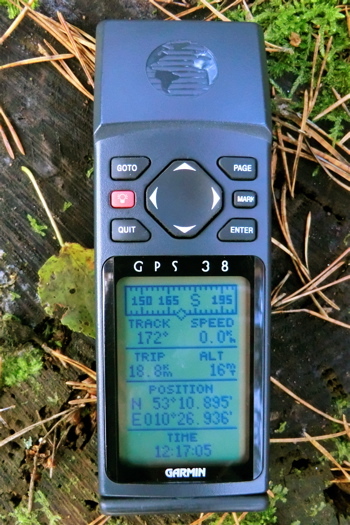 I used the good old GPS 38 for two more years, then I wanted units with better satellite reception and map ability. 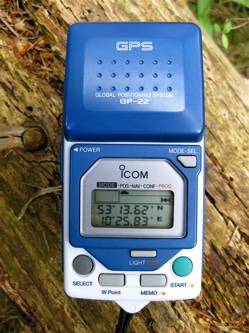 But I didn't forget my early GPS-experience and after a couple of years I remembered my first GPS unit. 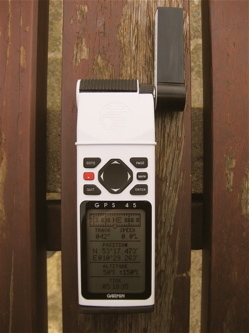 And following this path I discovered the fascinating world of early GPS handhelds. Because there is little information available I decided to create this website. 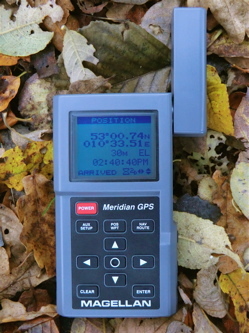 Handheld personal navigation is a child of the microcomputer age. Not long ago navigation was a job for experts, operating huge and large machines. 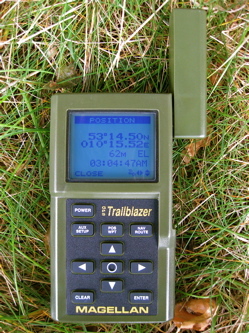 One of the first portable military GPS-receivers was the AN/PSN-8, called the manpack. It was built from 1988 to 1993. It measured 33,5 cm x 26 cm x 15 cm. 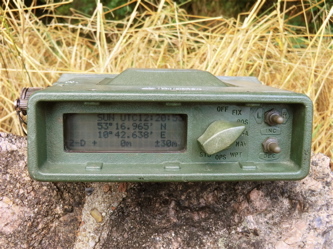 It had a weight of about 9 kg without batteries. 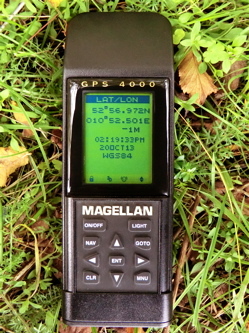 1989 Magellan manufactured the first commercial handheld GPS receiver, the NAV 1000. Huge as a brick it weighted only 0.7 kg. 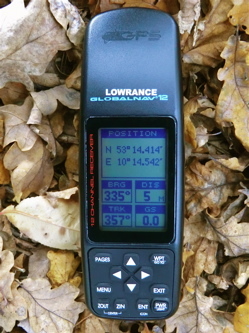 Just in time for the completion of the GPS-satellite constellation technology reached the ability of providing handheld machines to use this system. 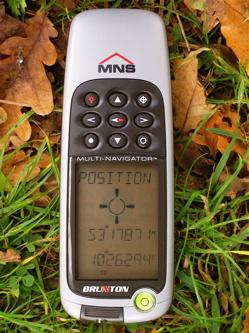 A new category of navigation utility had to be developed. How could these units look like? What are the functions? What kind of human interface is needed? 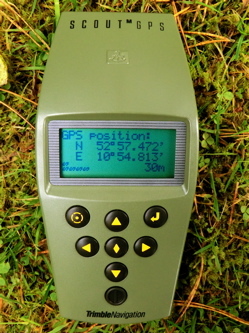 This is what makes the history of early GPS-units interesting for me. How did this technology evolve?